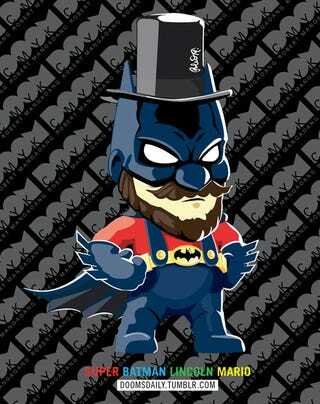 By Super Mario's Beard, Batman! Robert Mangaoang went all out with his latest mash up drawing. Honest Abe, Mario and the goddamn Batman make for one awesome little crime fighter.